Come celebrate Collective Arts Brewing’s debut in Western New York with a can release and tasting at Allen Burger Venture, April 27th! 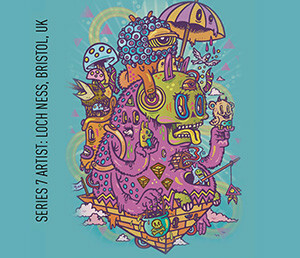 We are a grassroots beer company fusing the craft of brewing with the inspired talents of emerging artists & musicians. Our brewery is dedicated to promoting artists and raising the creative consciousness through the sociability of craft beer. Collective Arts was founded September 2013. Our 50bbl brewery is located in Hamilton Ontario, Canada, 45 minutes from Toronto, North America’s 6th largest city and 60 minutes from Buffalo NY. the art community globally. Artists from over 40 countries have been represented. Each of these artist’s stories and their work* are featured on our website, social media, gallery openings, festivals and live music events. We believe we are curating the world’s most refreshing art gallery. *Collective Arts is an artist friendly organization and takes no ownership of the art or music submitted and can only use these works selected by the jury for a limited and specified period of time.